This painting is done in pastels using a VERY dark purple for the dark background and shadows. The hat is done in creams and light yellow and ochres. To colors compliment each other well. I wanted the hat to be used. 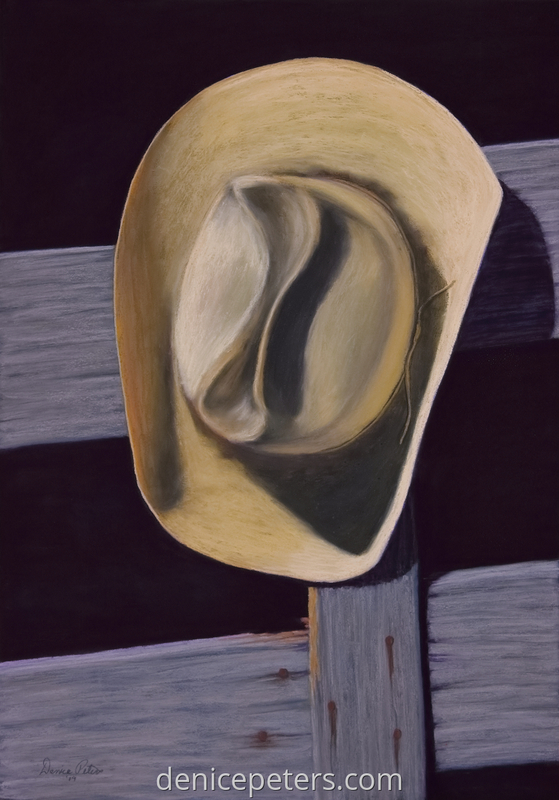 I left the texture showing in the brim and the dirt around the hat showing. This working person's hat just finished a hard day of work. The fence also shows the wear of life. On archival surface.